The Constitutional amendment to facilitate a goods and services tax has been called the greatest economic reform since 1991. Political scientists have hailed the new “co-operative financial federalism, and “one nation, one tax, one market”. Trucks in India average just 270km a day against 800km in the US because of checkpost delays at state borders, and GST could slash these. 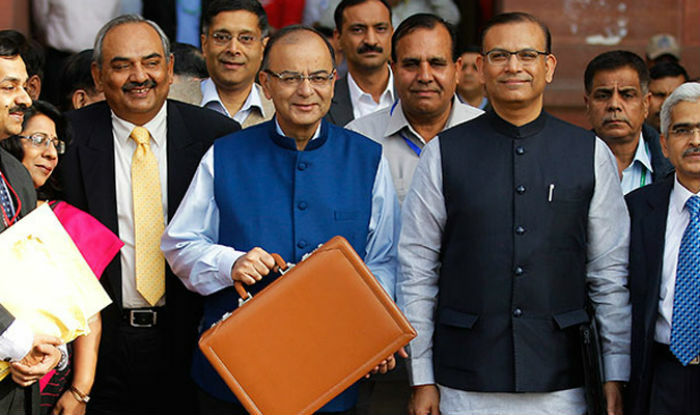 Economic optimists hope GDP will improve by over Rs 100,000 crore. But let’s not go overboard. Simplicity and uniformity in taxation is indeed an excellent idea. But a long hard road lies ahead. The government has set an ambitious deadline of April 1, 2017 for GST to be launched. The states will first have to ratify the Constitutional amendment. Then the GST Council (consisting of central and state finance ministers) will have to decide the different GST rates and allied matters. There could be serious discord between states on this, delaying the GST rollout. Agreed rates and allied matters will then have to be legislated by the Centre and states. Training, new documentation and the digital backbone will have to be completed. That’s a formidable task, and glitches and delays seem inevitable. Yet finance minister Arun Jaitley is right to push for an early deadline, taking care of problems as they arise. The slogan “one India, one tax, one market” sounds terrific but may mislead non-experts. GST does not provide for one tax rate across India. Different committees have suggested different tax bands for different sets of goods and services. Chief economic adviser Arvind Subramanian headed one such committee which suggested four tax bands — zero for essentials, 12% for merit items, 17-18% as the standard rate for other items, and 40% for luxuries. The GST Council could set completely different bands. Besides, alcohol and petroleum products are outside GST, with each state free to set its rates. An ideal GST would have one tax rate for each item across all states. But many states will demand that the GST Council allow them to decree substantial additional levies or exemptions. Kerala and Tamil Nadu seem set on having their own rates. If others follow suit, we risk returning to wide statewise variations for the same item. Octroi checkposts in cities should disappear, a great boon. Checkposts at state borders will remain, but hopefully their scope for mischief will be restricted by the abolition of any sort of entry tax. The risk is that checkposts will be retained for checking vehicle registration, criminal activities, and other grounds, so harassment, delays and corruption may not disappear. But they should fall substantially. A heavy burden lies on the states to make the idea of a uniform tax work. They will constantly be tempted to gain short-term benefits by fiddling with tax rates, ignoring the damage this may do to the idea of one single market. The states are supposed to be fully compensated for any loss of revenue they suffer through the switch to GST. It is far from clear how the “loss of revenue” will be calculated, and what disputes will arise. Fortunately, the new law provides for a dispute settlement mechanism. This body will also have to deal with issues like the refusal of some states to toe the line on agreed GST rates. It remains to be seen how well and quickly disputes are settled. Historical experience in dispute settlement in India reveals constant, long delays. Preparations have already been made for a strong GST digital network to help companies and tax officers deal with the new system. Training and documentation has also started, but is inherently a tricky job. Tax officials are constantly at war with companies in the existing system, and tax litigation is rife. In theory, a simplified, uniform system will reduce litigations and tax disputes. But moving from one system to another can increase misunderstandings and differing interpretations in the short run, causing a spurt in litigation and disputes. Many countries have taken years to sort out the glitches and misunderstandings that are inevitable in shifting to a new system. So, hold the euphoria. GST is a great idea, but many great ideas in the past have been damaged in implementation. Statesmanship and diligence will be needed to ensure that GST lives up to its high promise.